The Deauville was designed to deliver high-performance luxury transportation for four. Tjaarda developed a flowing-yet-muscular design, handsome from any angle, and retaining the inverted trapezoidal grill concept first seen on the Mangusta. The chassis, a full monocoque unit, employed fully independent suspension, the rear system featuring inboard disc brakes and dual coil-over shock absorber units. Twin fuel tanks and twin fuel pumps were fitted, with a dash-mounted switch and gauge so the driver could select which tank was being employed. The first Deauvilles were built in 1972. For power the Deauville relied on the same 5.7 liter (351 cu. in.) Ford Cleveland V-8 as employed by the Pantera, rated at 300 horsepower (DIN) and mounted in front for this application. Backing the engine was a Ford 3-speed automatic transmission; no manual transmission was offered. The sedan is 190 inches long, riding on a 108 inch wheelbase, and weighs approximately 4200 pounds. The Deauville is noted not only for its on-road performance, but its interior comfort. The comfortable yet supportive seats could be had in a variety of leather and leather/cloth combinations, and the dash and door panels were wood trimmed. Full instrumentation, factory air conditioning, power window lifts, power steering and a tilt steering wheel were all standard. The center console extended into the rear of the passenger compartment, providing heat and air to the rear occupants. 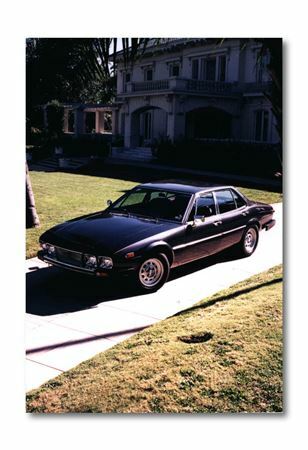 Approximately 244 were constructed, making it the second-rarest production DeTomaso (next to the Vallelunga) and the only 4-door sedan built to date by the company; it was never officially imported into the United States market. An interesting one-off design study was built in 1984, converting a standard sedan into a handsome estate wagon. The coachwork was hand-crafted by EMBO in 1984, though the model did not make production. This unique Deauville is currently owned by DeTomaso Modena.